Edna Faye (Heisler) Justice was born June 28, 1939 in Calhoun, Louisiana to Melvin and Eunice (Bryan) Heisler. 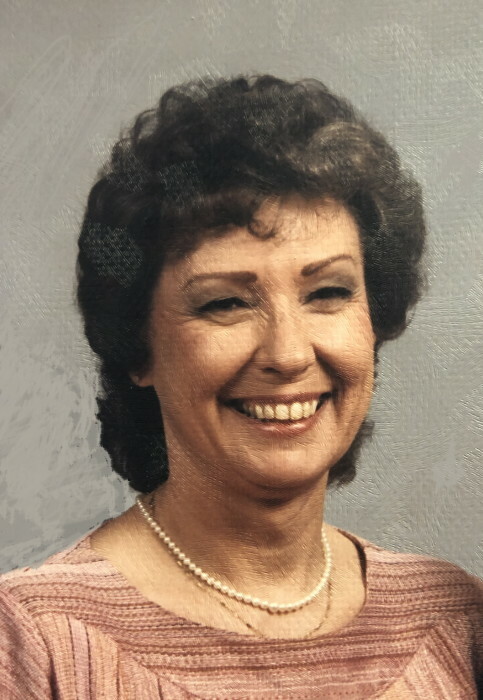 She passed away on Friday, February 1, 2019 in her home in Watonga at the age of 79. Edna grew up in Louisiana. She attended and graduated from Miami-Jacobs Business School. Edna met Donald H. Justice while living in Dayton, OH. When she moved back to Louisiana, to be closer to her mother, the two knew that they couldn't be apart and were married July 30, 1981 in DeRidder, Louisiana. She immediately moved to Washington, D.C. where Don was serving in the US Air Force. The couple lived there for four years until Don's retirement from the Air Force in 1984. The couple moved to Watonga, Oklahoma where they bought Justice Real Estate. Edna soon became a broker. She was a very active and civically minded woman. Edna volunteered with the Watonga Cheese Festival and was an active member of The Watonga Quest Club. She served on the Boards of Trustees at the Oklahoma Baptist Homes for Children and Red Rock Behavioral Health Services, served as a City Council Member, and a was a candidate for Mayor of Watonga. Edna retired from Real Estate in October 2014. She loved quilting and taking trips to Canton Trade Days in Canton, Texas with her beloved friends. Edna loved spending time with her grandchildren. She had a great amount of love in heart for all people. Edna was preceded in death by her parents, Melvin Heisler and Elbert H and Eunice Barentine, sister, Minnie Pearl Heisler Craig and brother, Simmie Lee Heisler. Survivors include; husband, Don Justice of their home in Watonga, OK, 4 children, Lisa Rawls and Dale Berger of Springboro, OH, Bryan Alon Justice and his wife Scarlet of Ennis, TX, Derek L. Justice and wife Melissa of Gilbert, AZ, and Michael D. Ewing and wife Jill of Spring Hill, KS, 10 grandchildren, Chris Voris, Abby Stricker and husband Robert, Andyn Justice, Connor Justice, Colton Justice, Cooper Justice, Derek C. Justice and wife Chelsea, Nathan Justice and wife Amanda, Drew Ewing and Brenna Ewing, 2 great grandchilren, Morgan Mae and Ike Edward Justice, and special sister-in-law, Betty J. Chapman of Watonga as well as a host of nieces, nephews, other relatives and friends. Burial: Watonga IOOF Cemetery, Watonga, OK services under the direction of Turner Funeral Home, Geary, Oklahoma. Condolences may be sent to the family at turnerfuneralhomes@gmail.com, or you can find us on facebook.com (Turner Funeral Homes).